I am riding the wave of the current interest in local gardening and farming. There are scores of articles on the web about creating community gardens and co-ops, even in the middle of cities. I think this idea is awesome! But what do you do when these ideas don’t translate to your current living situation? I was faced with just this question this summer. 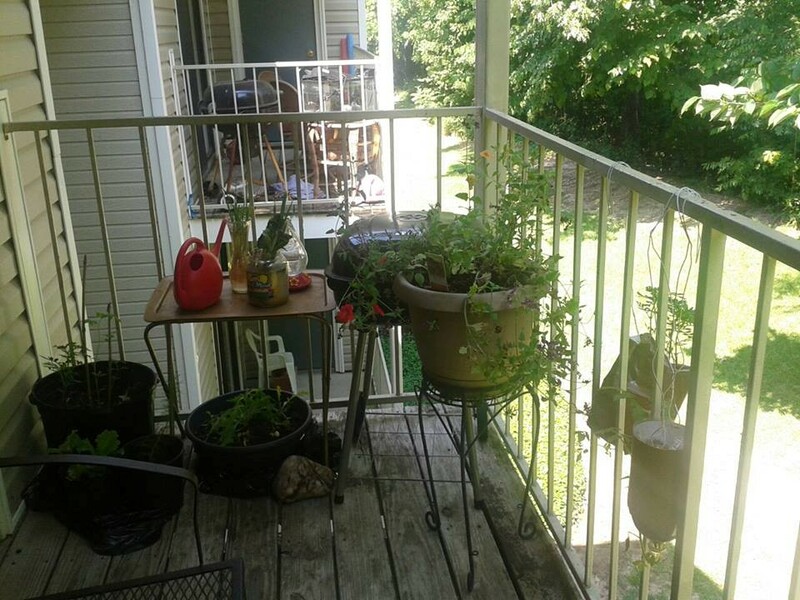 I live in an apartment with a very small balcony and no area to garden at all because I am on the second floor. Although, I have read about growing gardens in pots on the terrace, I have used every available spot, that still allows for sitting on my glider and getting to the grill. At the beginning of the summer, an idea struck me–what if I volunteered to help others who had gardens in exchange for produce?! So, I began to casually mention to co-workers and friends, “Hey! If you need help in your garden this summer, I will donate my hands and the hands of my 13 year old son, in exchange for some veggies!” So far, two people have contacted me! 1. It promotes a spirit of community. When neighbors work together to support each other, it just brings you closer together. 2. It is a first step toward bartering, rather than relying on money for food. When people can provide for themselves based on services and products exchanged with others, the need for money diminishes. 3. It is a way to help those who need help in the community. Some people may need the help of physical labor, but may not have the money to pay someone. In this way, they get labor at no additional cost. 4. 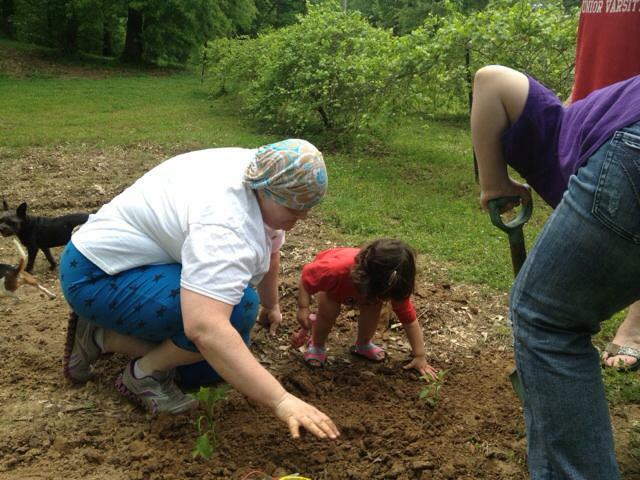 It provides an opportunity for everyone in the community to engage in the beauty of gardening in the great outdoors. For those of us who do not presently own land, we get to dig our fingers in the dirt, and watch something beautiful grow and feel part of that magic! In the future, I plan to approach my landlord about perhaps creating a community garden here at my complex. But for now, I will just work in someone else’s garden!